Ambica Machine Tools was established in 2006 with an aim to provide impeccable engineering and pumping solutions.Mainly, the company deals in manufacturing Industrial Pumps, Valves and other Pumping Equipment that fitin your specific industrial requirements. With our exceptional range of industrial pumps, we have catered to the most complex and demanding industrial sectors. Our headquarters and the manufacturing unit are located in Ahmedabad, Gujarat, India.Since our establishment, we believed in challenging ourselves to extend our reach to the international market. We have always set higher goals for ourselves and made enduring efforts to deliver the best. Quality has always been a buzzword in our company premises. Keeping professionalism as our hallmark, we direct our efforts to keep ‘quality’ as our mainstay in all our endeavors. Having served many big names in the industry, we have a reputation of having a fierce workforce who lends the highest level of integrity in their services. We ensure that this will always remain as the cornerstone of our company culture.Backed by the visionary leadership of our founder Mr. Avinash Patel and our talented team, we add a touch of values in all our relations and promise to give an edge over our competitors. A true leader comes from an improbable position. We have challenged the stereotypical predictions and have silenced the skeptics with awestruck growth in a short span of time. Having started as a small industrial unit in Gujarat, we have made it to global market with a robust clientele base present across the world in a span of just 14 years. Our incessant urge for superior quality and pursuit for excellence has led this fledging company from Gujarat lead a change in the industry by setting a benchmark. 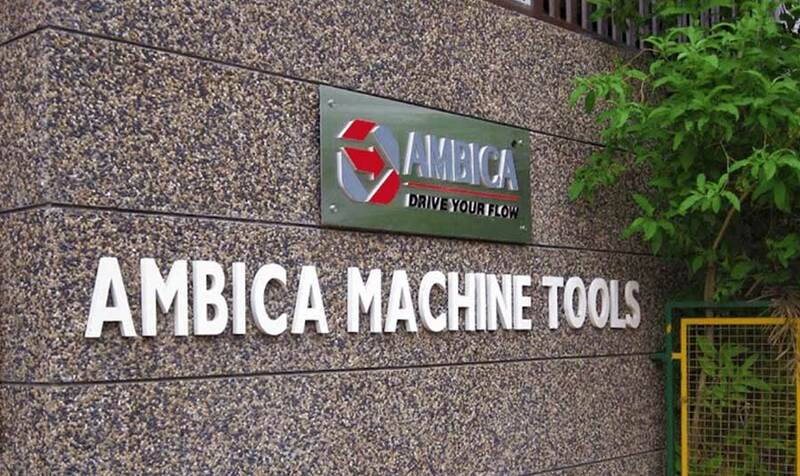 Ambica Machine Tools has attained manifold growth within a short span of 14 years. With clients present in countries like the Philippines, Nigeria, Pakistan, Bangladesh, Saudi Arabia, Kuwait and many more, we have strong global footprints. Since its inception, the company has made a blazing growth marking a 50 fold increase in its revenue. With our exclusive and versatile range of pumps and pumping equipment, we have served a myriad of highly reputed brands in the industry. Our products range from a basic level centrifugal pump to the latest and cutting-edge pumps. We manufacture a variety of Centrifugal Pumps, Polypropylene Pumps, Barrel Pumps, Hydro Testing Pump, Triplex Plunger Pump, Sewage Pump, Electric Motors, Vertical Polypropylene Pump, Magnetic Drive Pump, Rubber Lined Pump, High Pressure Industrial Valves, and Chlorine Gas Cylinder Accessories. Stringent quality control practiced at all levels.